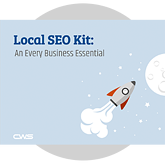 Bridging the gap between local businesses and local customers, local SEO is a more nuanced — but equally powerful — digital marketing strategy than regular SEO. More people now look for local services online, fueling local SEO: Seventy-seven percent of smartphone owners contact a company after searching for local information, and 54 percent of Americans use the Internet — rather than the phone book — to find local businesses. Here's why local SEO is more important than ever. Optimizing your local website for search engines comes with various benefits. You can increase the visibility of your brand online and encourage more people to visit your site. Greater visibility means more customers to move through the sales cycle and more lucrative sales opportunities. Websites ranked in first place on Google's search results generate 33 percent of all search traffic, while sites in second place accumulate 18 percent of traffic. These statistics prove why it's important for your website to achieve a high position on the search engine results page. The higher your site ranks, the more customers you can attract to your online store. "As device connectivity expands and mobile integration becomes more prevalent, local SEO is gaining importance for brands seeking to obtain digital visibility and acquire customers," says Thomas Stern from Search Engine Land. Typically, local SEO involves the optimization of various website elements to increase your search rankings. However, you can research competitors in your locale and see how you rank against them, too. Tools like SEMrush let you find your rivals' most popular keywords. You can then use this information to improve your SEO campaigns and attract more leads to your pages. "A good competition analysis will give you a strong insight into the market and allow you to test, succeed, or fail fast," says Casey Meraz, an SEO expert writing for MOZ. "The idea behind this process is to really get a strong snapshot of your competition at a glance to isolate factors you may be missing in your company's online presence." Competitor analysis also lets you enhance future marketing campaigns. This, too, could boost the number of people who visit your pages and make a purchase in your online store. With local SEO, you can better understand your customers and forge new relationships with the people who visit your website. Web analytics tools — which provide you with the information you need to optimize your Web pages — let you monitor customer trends and pinpoint patterns in consumer data. For example, you can find out which keywords drive people to your site, how customers interact with your pages or what people really think about your brand. 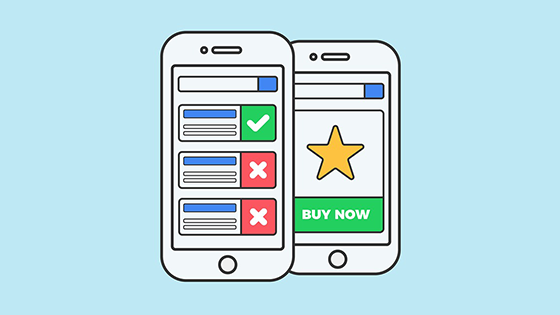 "You need to really get to know how your customers think, develop content that they need across their entire journey, and test to see what works best at each stage," says Kevin Gamache for Search Engine Watch. As more people use their smartphones and tablets to search for businesses in their area, local SEO is more important than it's ever been. This marketing tool lets you increase the visibility of your brand online, better understand your customers, and research your competitors. Expect more brands to use local SEO in the future as they target customers in their town or city.